Every football club has those memories of glory which are dusted down and polished to aid recollection. Each retelling of these slices of triumph add a little more lustre and a dash of vibrancy as each person who delves deep into their own memory banks includes their own experiences which only enhance the tale. When any fan – be it a Gooner, an Everton fan or a Cobblers supporter – is asked about Arsenal, they will invariably talk about the much heralded ‘Invincibles’ squad. The season of 2003/04 has permanently daubed itself on the echelons of football itself, with countless memorabilia and books on the men who have now created their own lore. For Gooners though, every rose-tinted view of the titans of that campaign is extra special. Knowing that their has NEVER been a team in the modern era to match this achievement, not one team has had the honour of picking up an all-gold League trophy, makes it unmatchable. It isn’t just the fact that every team in the Premier League failed to muster enough skill and mettle to overcome this fantastic side. It was the suave and confident manner of which thirty eight games were navigated without error. What is lesser mentioned when recanting the stories of the ‘Invincibles’ though, is the sheer bloody-mindedness to win. To obtain victory over anything else. Something which can be perfectly summed up in one game. This match was the pivotal moment of the season. The 0-0 draw versus Manchester United and the infamous missed penalty from Ruud Van Nistelrooy is the go to image when recalling the more precarious moments, but the 4-2 win over a dangerous Liverpool side showcased the intrinsic belief in the squad, the deeply ingrained inability to let any opponent gain the upper hand. Under closer scrutiny, it was one goal in particular, that evidenced everything aforementioned above. It was scored by a player who epitomised the swashbuckling swagger of a team who swept the majority of teams aside with nary a drop of a sanguine shoulder. Robert Pires suffered a horrendous knee injury in 2002, the season Arsenal were inspired to a double by the Frenchman’s breakthrough campaign. So much so, that his teammates, when presented with their medals and the League trophy, had a special presentation in mind for the man who they felt was the inspiration behind the glory. They all bowed to Pires, who had hobbled onto the pitch to collect his well-earned medal. Thierry Henry may well have grabbed the headlines, but it was his French compatriot who had grabbed the imagination of fans and teammates alike. The injury was severe, and many questioned whether the ingenious playmaker would return in the same vein. They needn’t have worried. Not only did he make his return with his vital footballing brain intact – unshaken by the months of solace and fear of rash tackling – but he also took to the pitch with more hunger and drive than before, which took him to new heights. It was his goal in the 4-2 victory over Liverpool which was the catalyst for the three points and the continuation of a historic endeavour. 2-1 down at half time, the two results previous to this game were a loss to Chelsea at home which saw Arsenal knocked out of the Champions League, and being dumped out of the F.A Cup by perennial rivals Manchester United. If ever a team were the equivalent of being on the ropes, it was Arsene Wenger’s side. Two confidence-sapping defeats, two games in which a very tangible dream of the Treble was within touching distance. All dashed and now the League campaign could be wrestled away from them. 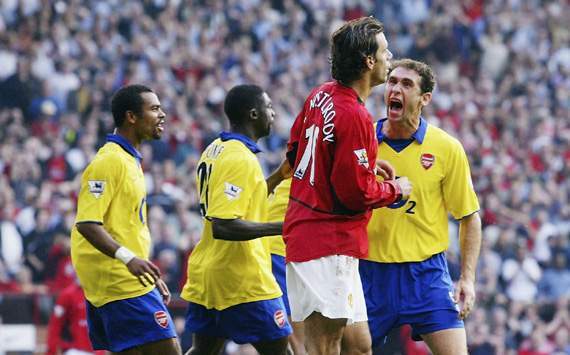 The dressing room must’ve been a dark place, but it was Martin Keown, the battle-hardened stalwart, who took to the soapbox to ensure that every player knew what was at stake. If you try to picture being in that room, it would’ve been nigh on impossible to ignore such gravitas. Arsenal took just four minutes to level proceedings. Robert Pires’s reading of Thierry Henry’s game was so strong that he knew that, if he gave him the ball and advanced into the box, then the ball would invariably return to him. The almost nonchalant finish was a complete stranger to the pressure which must’ve been weighing heavy upon their shoulders. It was a goal which rescued his team. It wasn’t the first time he performed a goal scoring version of CPR upon his teammates though. The corresponding fixture also saw Pires grab what would be a decisive goal, and what a goal it was. It was a goal which was worthy of dragging players to their feet after being beaten to their knees by misfortune and stretching themselves too thinly. It was a shot which would have galvanised even the most torpid of performances. It lifted all who witnessed it to their feet. It came from the foot of an artisan of the game who used his technical gift to claw his team back from oblivion. Beauty to spark strength. It isn’t just desperate slide-tackles, wild gesticulating and airborne duels which show who has the most desire. It isn’t simply size which is the barometer of power. Sometimes it is a mixture of heart and passion that can overcome even the biggest of muscles. The shot would have humbled the finest of goalkeepers. We may have seen many amazing long range curled efforts which rightly belong in compilation videos, but this wonderful piece of skill was performed with a backdrop of pressure and angst. Thierry Henry, the man who took the mantle from Pires’s heroics and went on to make a mockery of Liverpool’s defence, said in his own documentary, that it seemed as if the stadium had stopped breathing. 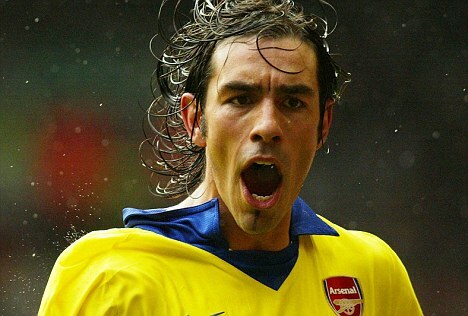 It was only when Pires used his boot to resuscitate thousands of fans that they all came to life once more. Attempting the ridiculously difficult when so much is on your shoulders is testament to the fibre of Pires. He is also beloved by all Arsenal fans due to his impressive record in North London Derbies. It shows that when difficulty rears its ugly visage, it brings out the best in him. A thing of beauty on which history hinged. What a goal.